When is the best time to buy temporary business car insurance? When should I buy temporary business car insurance? Everyone knows that if your business owns a car you must have car insurance on it. However, sometimes your business uses vehicles even though it doesn’t own any. When should your business look into temporary car insurance? Keep reading to find out when you should get this extra coverage for your business. If you are looking for car insurance quotes, type your ZIP in our FREE quote finder now! Temporary coverage provides the same protection that regular business car insurance does. You’ll have the state mandated levels of coverage and any optional parts you choose to have. All states require you to have a minimum amount of liability that you must legally carry. You can check with the Department of Insurance in your state to learn exactly what the requirements are. Remember though that liability insurance is what pays for the other driver’s damage and for any injuries to him and any passengers. As a business owner, you need to consider higher limits than the states require. You’re not just trying to stay legal; you’re trying to protect your business from a lawsuit. In fact, Entrepreneur.com suggests a minimum of $1 million in liability auto coverage for your business. Your state might also require that you carry uninsured/underinsured motorist coverage. If another driver causes an accident, he is supposed to pay for your damages. However, if he doesn’t have any insurance, you might find yourself with no way to pay for damages. Uninsured/underinsured coverage will pay to repair your car in this scenario. Both med pay and PIP will cover all passengers in the car regardless of who is at fault. Some states require PIP while others require med pay. If your state doesn’t require either, you can choose which one to carry. On the other hand, you might decide not to carry it at all. Comprehensive and collision coverage are also offered even on temporary policies. For more information on what a car insurance policy covers, the National Association of Insurance Commissioners has published a helpful consumer’s guide. One circumstance that might call for a short-term insurance policy is if your company is moving to a new office or another facility. During this time, you might be renting or borrowing trucks or vans in order to transport your equipment and inventory to the new location. You’ll need some sort of policy to cover these vehicles while they are in your possession. You might be able to get rental insurance from the company in which you are renting the vans or trucks. However, if they don’t offer insurance, you’ll need to look at an outside source for that insurance. A temporary policy might be just the thing if your regular business car insurance won’t cover them or if you don’t normally have business car insurance. Keep in mind that your equipment and inventory in the rental vehicle will also need to be covered. Therefore, this temporary policy will only cover damage to the vehicle and to the passengers, not to the payload. You’ll need to verify with your business insurance that your property is covered with other policies, even when it is in transit. If you or your employees are going on an extended business trip, it might be worth looking into a temporary policy to cover the rental car you’ll need. If your business has permanent car insurance check to see if it might cover rentals as well. 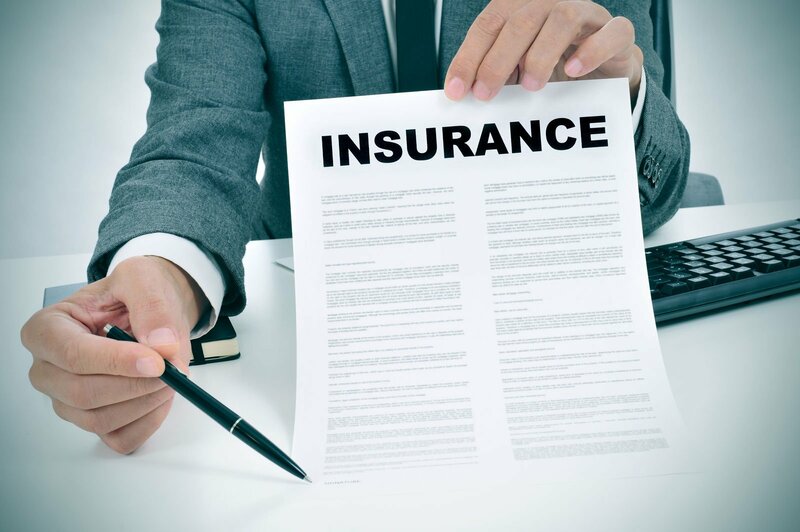 If your company doesn’t normally need this type of insurance, you’ll need to buy it from somewhere. You can get rental insurance from the rental car company. However, the rental insurance is often as much as the rental fee. If you’ll be gone for an extended period of time, price a temporary policy for that time and see if it is less than what you’d pay at the rental counter. For more tips on saving money at the rental counter, visit Consumer Reports. Perhaps one of the best reasons to look into a temporary business car insurance policy is when you will be borrowing a vehicle for your business. If you already have permanent car insurance for your business, your policy might already cover borrowed vehicles, though you need to ask your agent to be sure. If you don’t have a permanent policy, then look into a temporary policy before you borrow anything. Depending on whom you are borrowing from, the lender’s insurance might not cover the vehicle if it is being used for business purposes. For example, if you buy a fixture for your store, borrow a friend’s vehicle to transport it to the premises, and are in an accident on the way, his insurance might decline to cover it. A temporary policy can also be useful if you are about to buy a vehicle and haven’t had a chance to find a permanent policy yet. Since you can usually buy a temporary policy online and have immediate coverage, you can do it at the dealership and be covered before you leave the lot. Most personal auto insurance policies have exclusions for any business driving besides commuting. If it is a short-term situation such as they are transporting clients for a conference you are hosting, look into a temporary policy. If you find yourself in these situations often, you might need something called non-owner coverage. This type of policy covers the same types of things discussed above but is designed for businesses that don’t own a vehicle. Usually, non-owner coverage is much less expensive than regular business car insurance. However, it is perfect for businesses that occasionally borrow a car, ask employees to use their personal cars, or have employees that travel frequently and need to rent. Your business is always covered from surprises on the road, no matter what the circumstance. For more information about car insurance for your business, visit the Insure U website for Small Business. Get great auto insurance quotes quickly by entering your ZIP in the FREE box provided!